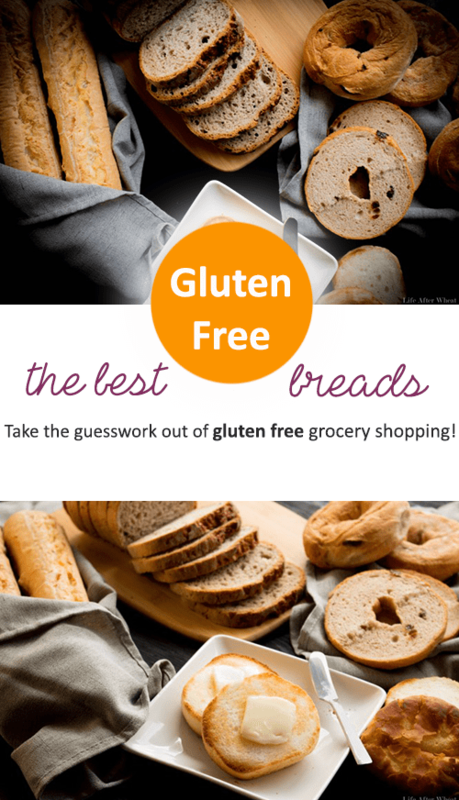 Take the guesswork out of gluten free grocery shopping! 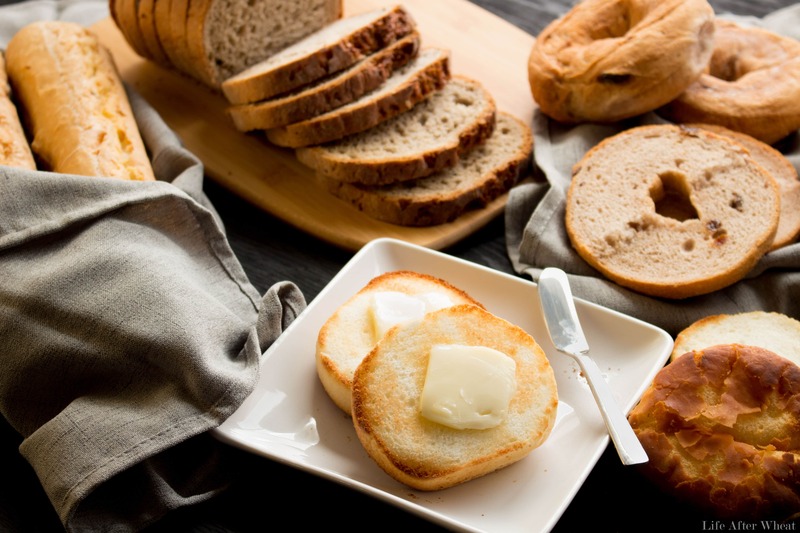 Here’s a list of the best gluten free breads on the market. Want to bake your own? We’ve got you covered with recipes for Sandwich Bread, Flaky Biscuits, soft and buttery Crescent Rolls, and Garlic Breadsticks! What’s the one thing you miss the most since starting a gluten free lifestyle? Nearly everyone I talk to says it’s bread… A sandwich that doesn’t crumble. A piece of bread that isn’t grainy. A bagel. It doesn’t seem like too much to ask, right? (right??) What we’re all looking for is a list of the best gluten free bread on the market. We’ve tried a LOT of gluten free products over the years, and here are the ones that made the top of our list. 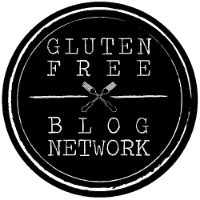 What are your favorite brands/products for gluten free breads? Please share in the comments below! This post is NOT sponsored. Every opinion you find here is 100% honest and not swayed at all by brands. I don’t (and won’t ever) post favorite products here in exchange for product or payment of any kind. This list is for YOU. Some of the links are affiliate, many are not because direct links to the brands’ websites would be a less expensive option for you to purchase through. Be aware that product information can change. Please read labels before consuming to be sure it’s safe for your dietary needs. Udi’s Gluten Free Delicious Soft Sandwich Bread. Udi’s really out-did the competition with this one, in our opinion it is the best gluten free bread you can buy in a store. If you’re looking for a store-bought gluten free bread that doesn’t have to be toasted and tastes like Wonder Bread, this is it. Be aware that you need to let the loaf thaw for a good 24 hours at room temp before opening up the bag…otherwise the slices will stick together. Be sure to get the new “delicious” variety. Franz bread is one of our favs. We buy it in 2 packs at Sam’s Club or you can find it at Walmart in the bread section (imagine that, ha!) Each loaf is sealed and it’s good for a month or two on the shelf if it’s left unopened. Once opened, just twist tie it closed or put in an airtight container store at room temp for up to a week. It doesn’t crumble at all and you can just pull out a slice and make a sandwich without toasting. 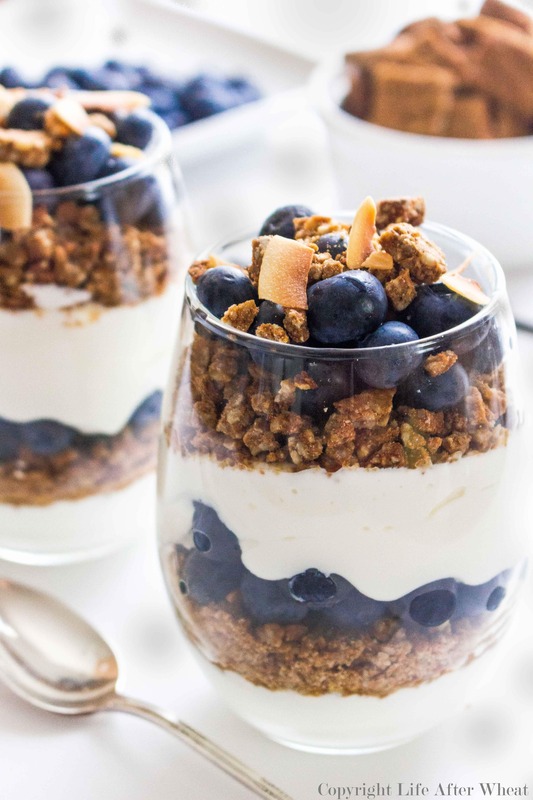 Great for lunches! 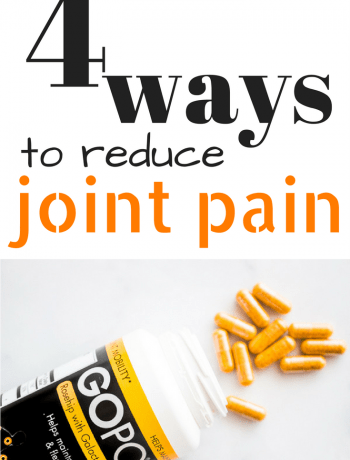 Where to Buy: Walmart, Sam’s Club, an outlet store (UT only), or their website. Canyon Bakehouse Rye Style is my favorite gluten free bread. 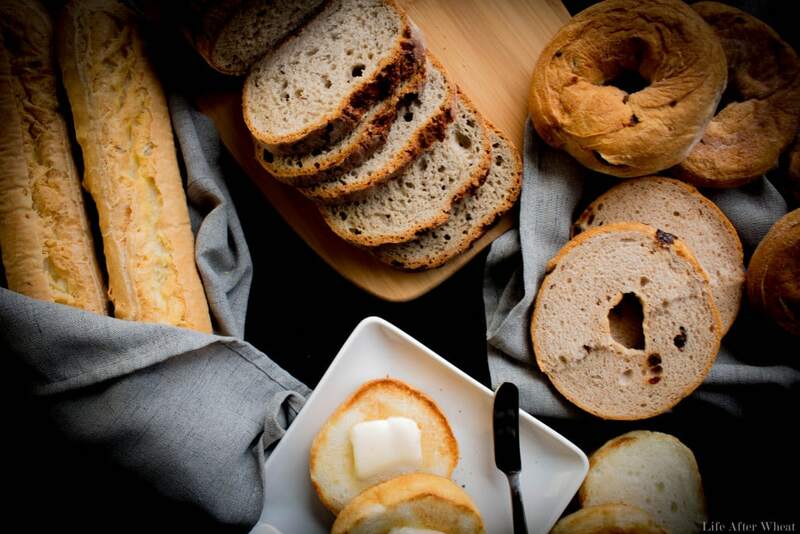 Their breads make a mean grilled cheese sandwich or French Toast and can also be stored at room temperature without becoming crumbly, making them perfect for sandwiches. 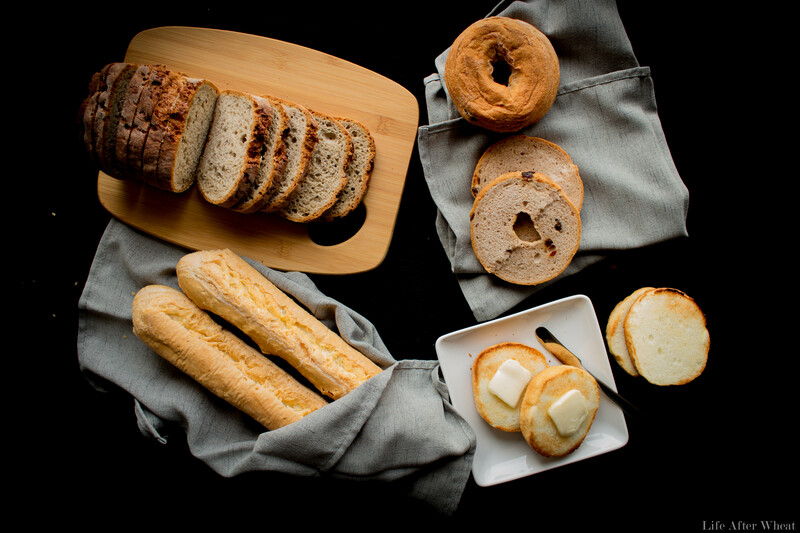 They have a wide variety of bread products and reasonable prices on their website, making them one of our all-time favorite gf bread brands. They recently came out with a Heritage Loaf that’s features large, full size slices. Because we love them so much, they agreed to give you a coupon for 20% OFF your first order! Where to Buy: Target (in the bakery section) or their website. 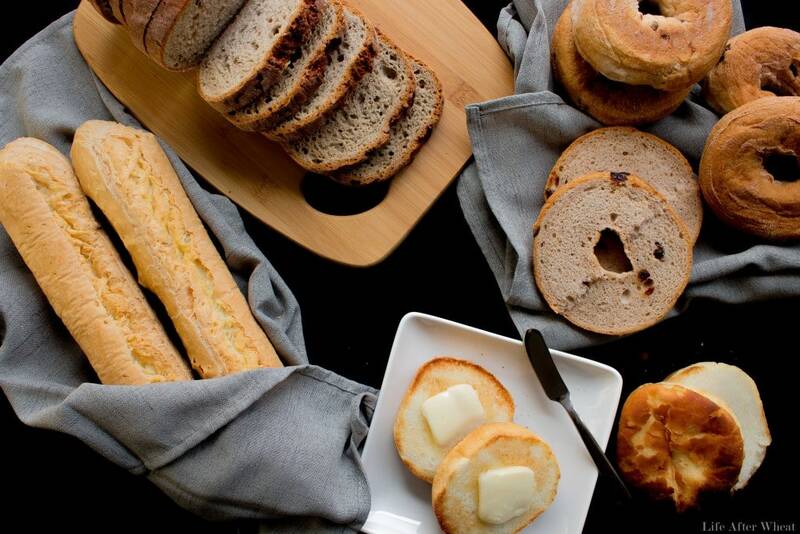 Canyon Bakehouse also makes great-tasting bagels. We love them for bagel sandwiches or smeared with cream cheese, and the cinnamon raisin is delicious when subbed for bread in French toast. Where to Buy: Their website is the best option I’ve found. Use the code above on your first order. Udi’s makes a mean bagel. Varieties include Plain, Whole Grain, Cinnamon Raisin, and Everything. We love Glutino English Muffins. Tip: when toasted, they also make a great bun for hamburgers! Where to Buy: Find a store near you or you can stock up on Amazon. Kinnikinnick is our 2nd choice for English Muffins. Where to Buy: Find a store near you. Our favorite brand of gf tortillas is Udi’s. If you briefly pan fry it (20-30 seconds each side over medium heat) with a bit of oil, they’re perfectly pliable and don’t tear or break. We love to serve them with these Thai Peanut Wraps or as Pizzadillas. Where to Buy: You can find Udi’s tortillas in the freezer section at Target, sometimes Walmart, and some grocery stores. BFREE Foods recently came out with pita bread that we think is pretty amazing. You can find it in the bakery section of Smith’s along with their wraps, buns, breads, and rolls (we like them all). GFHubs’ favorite is Udi’s whole grain hamburger bun. They also make a plain variety as well as hot dog buns. If you’re craving a baguette, Udi’s has you covered. These are definitely worth the splurge, you probably haven’t had a chewy-in-the-center-crispy-on-the-edges bread like this since you’ve started eating gluten free. 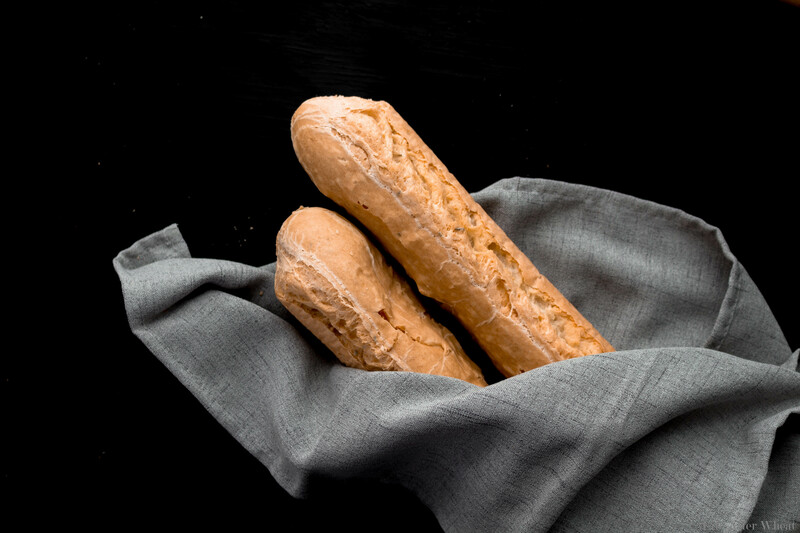 Against the Grain makes a baguette that is very allergy friendly. It tastes like a cross between Brazilian cheese bread and an actual baguette, our whole family liked it. Dedicated facility, Soy Free, Corn Free. Contains: Milk, eggs. If you’re in the Boulder, CO area, stopy by Kim and Jake’s to get a fresh baguette! 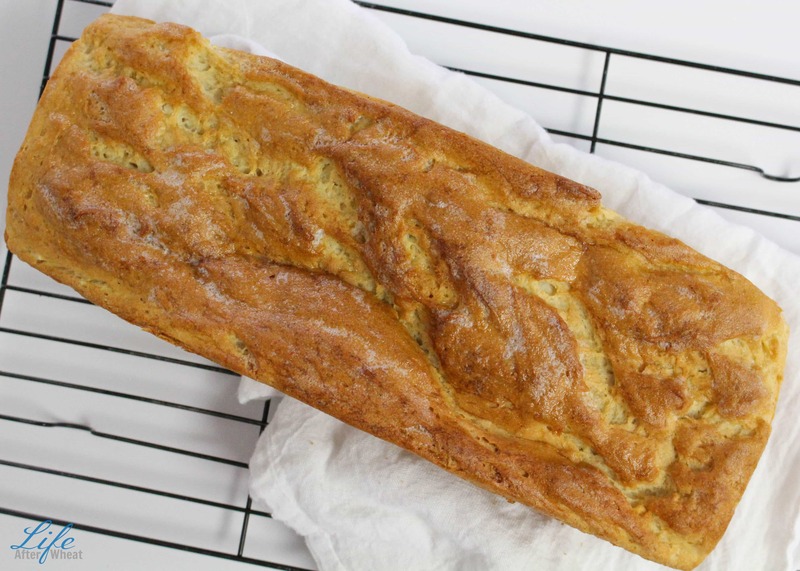 I promise it’s the best gluten free baguette you’ll ever taste. If you’re in Northern UT, Sweet Cake Bake Shop makes great rolls. They also carry bread in large loaves, it tastes just like homemade. They have shops in SLC and Kaysville. Dedicated GF bakery. Contact bakery for full ingredient list. Udi’s makes a Classic French Dinner Roll. 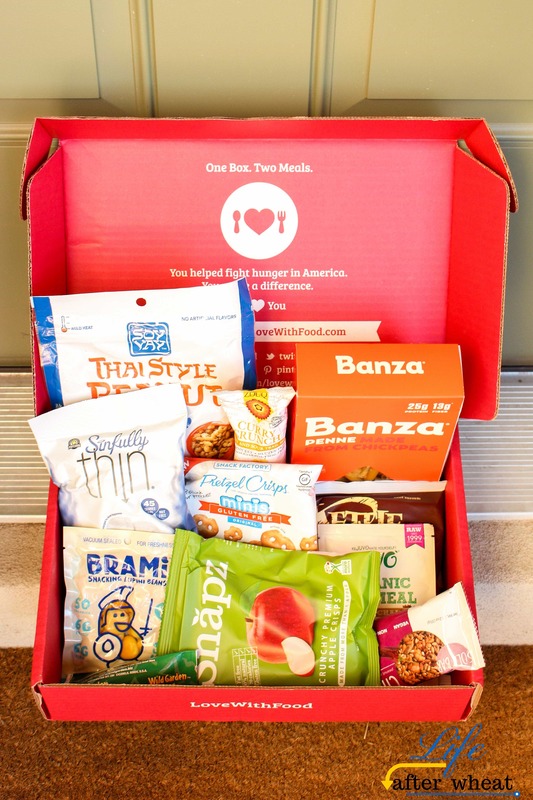 BFree is one of our favorite brands. You can find their products on their own little rack in the bakery section of Smith’s. We love their rolls because they’re soft enough to eat fresh out of the package and don’t have to be stored in the freezer. Sandwich Bread: Of course, there’s nothing quite like homemade bread fresh out of the oven! 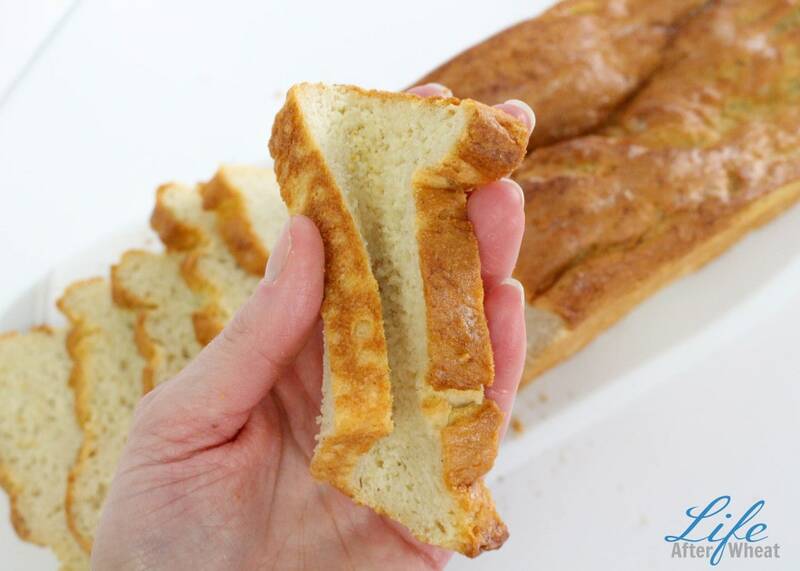 If you’re craving the smell of bread baking and a soft and warm slice of bread, here’s a recipe you’re sure to love, with step-by-step instructions and photos. Crescent Rolls – you won’t believe how easy these are to make! Pick up a Pie Crust Maker Bag for easy rolling. 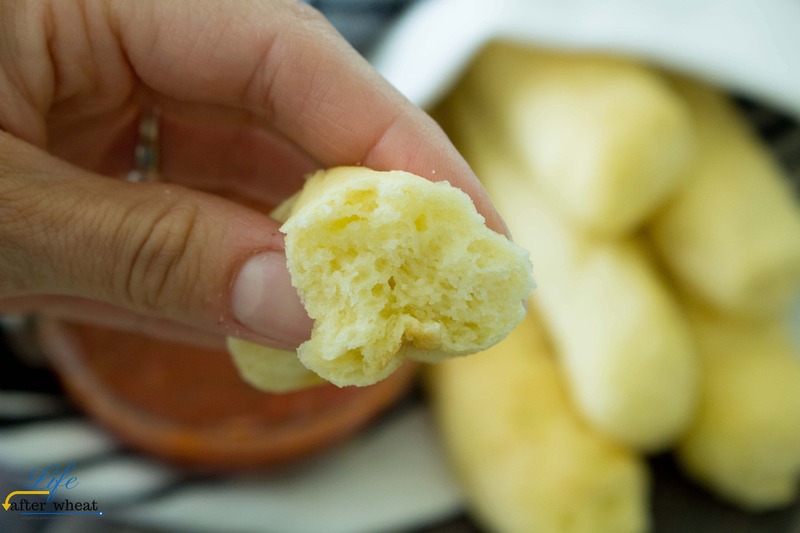 Homemade Garlic Breadsticks – also easy to make and the perfect compliment to any meal! Soda Biscuits – What’s not to love about a tender, flaky biscuit? 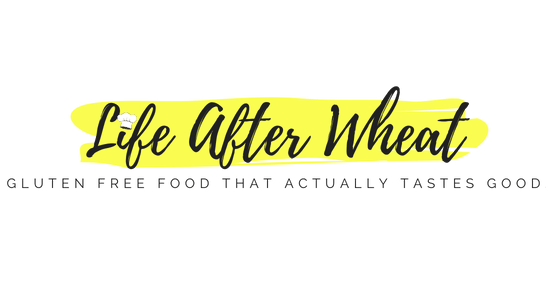 >>>What are your favorite gluten free bread products/recipes? Share in the comments below! Have you tried mission GF tortillas? They are my favorite tortilla. I haven’t, we can’t do soy. Thanks for adding that to the list, I appreciate your input! There are some great options! I came across your site today out of desperation for homemade bread again since I found out I was celiac a year ago, and as luck would have it, I’m in northern Utah too! thank you SO MUCH for this list!! It will be a life-saver for me when I go back to school next month! Fantastic! Be sure to stop by my booth and say hi! I would love to find a really good gluten free doughnut! I have yet to find one. Living on Southern Vancouver Island I am lucky to have several great producers locally. Portofino Bakeries in Victoria carries and amazing onion / cheese bread. There is a gluten free bakery in Duncan called Bake My Day that carries wonderful “take and bake” pastry , all purpose doughs and my favourite item in the shop is their raspberry lemon curd tart. A bite of heaven. There are good local store brand sandwich loaves that are delicious and very budget friendly, Save on Foods is #1 and followed closely at #2 is Thrifty Foods sandwich bread. Wow, this all sounds SO good Kelly! Thank you so much for sharing your favorites so others can enjoy, too. I adore Schaar’s breads. I’ve found them at home in NY, and also in vacation in the Caribbean islands. They make a tender artisan sourdough bread that brings back memories of my former love of wheat. Udi’s is pretty good, but can tend to fall apart or get crumbly. I’ve tried Pam’s bread mix, and found it very good. Thanks for the suggestions, Paula! I have heard great things about Schaar but we unfortunately can’t have it because of soy 🙁 The sourdough sounds so good! FYI all, Udi’s is not Non GMO. I contacted them just this past week. Thank you for for the info Barb, either I mistyped it originally or they changed their status. All info I post here comes from the brand’s website and/or packaging. Love your site! I’ve found that if you bake Udi’s baguettes, cool and then put into an airtight container overnight, it makes a great bun for a sub sandwich, or a banh mi. They are chewy and one baguette makes me two sandwiches. I’ve also baked them, cooled them, stored overnight and toasted until dry, then mix with corn bread for a great stuffing. Little Northern Bakehouse – Great sandwich bread (my favorite is seeds and grains variety) and hamburger/hot dog buns. I used to like Canyon Bake House but then it started to feel too slimy (a lot of egg?). This bread is not all potato starch! Thanks for the recommendation Nancy, we haven’t tried this brand yet! Attended a restaurant trade show in Columbus Ohio over the weekend. Great to see (and sample) so many GF options. Of special note were the bread and cookies of Enay Bakehouse. Owned by husband and wife…he is the chef..who are very committed to the best quality ingredients, and healthy GF. Both the bread and cookies are the best I have had. Also, waffkes! from Lopaus Point GF. Toast up to be warm and crunchy…chocolate chip no less. Women owned and operated with a healthy product that is delicious. I stopped on the way home and bought two packages at Lucky’s. Both vendors are looking to expand wholesale, but are currently in stores. Definitely look for them near you. Thanks for the very informative review. How do you store the Udi’s Soft White bread after it thaws for 24 hours unopened? I like Schar breads and crackers, etc. Their products are great! I discovered them in Germany where they have a wonderful selection. Their cereal(flakes) and chocolate chip cookies are really good. Have not found them here, but have found the breads, ciabatta rolls, and crackers too. Thanks for such a great site and good info. I read it faithfully!